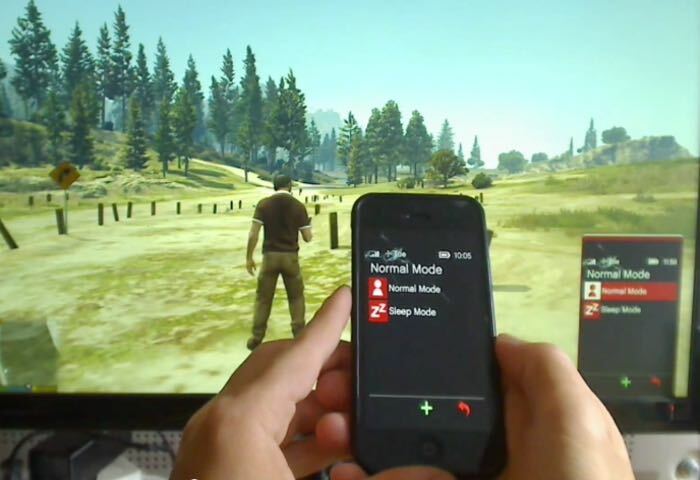 Gamers that enjoy tinkering with Arduino, are sure to enjoy this neat GTA V PC hack that used the Arduino platform to enable you to control the in-game cellphone using your real iPhone using a keyboard and more emulator system. The hack uses an Arduino Leonardo micro-controller board together with an Ethernet shield that has then been connected to the PC running the recently released PC version of the Grand Theft Auto game created by Rockstar. “Thank you all, for the comments here and reddit. There is no any hack, or ingame modding. Its only kayboard and mouse emulating with phone and arduino. This app comes only from an idea “maybe can i control the ingame phone”. Yes, can, but this app is far from app to a store condition. Later i can share the xcode and android code, but without dev account(or friend with dev account), cannot upload to your phone. This way what im using, based on ethernet shield, and you can see, little slow the communication. Maybe better if i change to BLE from Ethernet. In the next days i try it, but no programming skill, so i hope find usable swift bluetooth tutorial on the net. For more informtion on how to setup the unique Arduino hack for GTA 5 jump over to the YouTube video posted by its creator DIY projects Planetleak via the link below for comments and instructions.